Another lush ambient dub download mix this week. Quite enjoy this one. It's very smooth and laid back. Perfect for an hour's relaxation. This psydub mix begins with a tune from the group "Outernational Spacelords" off the compilation "Ambient Dub" released in 2000. Very tasty compilation it is too. Not all tracks are winners but there are a few there that really shine. 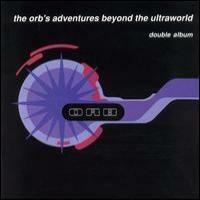 Next up is "Orbit Service" with a tunes from Waveform record's 2005 compilation "Chillicious". Orbit service is the musical project of producer/engineer Randall Frazier, currently with help from Kim Hansen (antenne), Dennis Swanson (day dissolved dream), and Kirill Nikolai (still light). They list The Cure, Pink Floyd and Syd Barret as influences which seems mighty nice to me. Our next bit of ambient dub comes from "Experimental Sound Project" with their tune " Chacruna Dub Mama Aya's Mix". 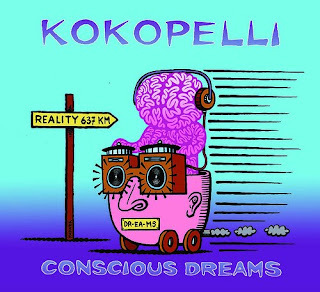 You can find this dub on the promo psytrance album "Initiate Sequence" from "Dream Creation" magazine. Dream Creation magazine is based in London and the promo CDs aim to highlight fresh psychedelic talent from the internationally mixed underground UK scene. Younger Brother members Simon Posford and Benji Vaughan in the studio once again as they work on an uptempo remix of their single "Night Lead Me Astray". They also give a brief chat about what their favorite bits of equipment are. 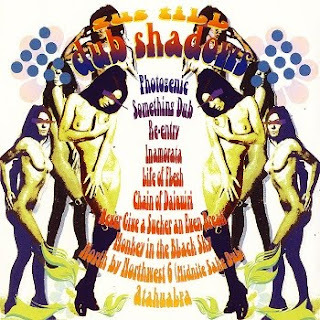 Following that we have a video of Younger Brother's CD cover artist Storm Thorgerson. He was a core member of the British graphic art group Hipgnosis, and came up with the designs for many of their most famous singles and album covers. Currently, he runs a design studio called StormStudios - a loose collection of very talented designers. Best ambient music of all time lists are quite popular on the internet. While waiting for some mixes to render I came across this list by "Darktremor" over at "listology". Here he lists his "Top Ambient Music Of All Time." I found it closely resembles my own section of best ambient music in the minimal ambient sounds sense. So, I thought I'd share with readers here and see what you think. Read on for some tasty ambient music recommendations and great ambient music artists from Mr Darktremor but bear in mind this list was created in 2005 ! I almost unarguably call this the best ambient album of all time. It sounds at turns like floating through space, sitting on an iceberg traveling down a frozen river, wandering across an alien beach at night, walking around a tiny fog-enshrouded rocky lighthouse island, and traveling through the arctic on a dogsled. It is truly a work of art that can be listened to (or rather, slept to) again and again: it almost never grows tiring, because it takes you to so many places. It manages to be dark without falling victim to Halloween cheesiness (Lustmord): its menace is hinted at, not told. There is no evil in Substrata: the worst you'll find is a beautiful emptiness. 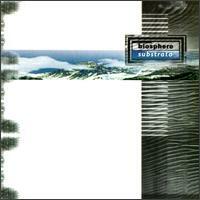 A true masterpiece and crowns the list of best ambient music. I've always felt like this sounded like a world created within a song. It doesn't "microvary" as much as traditional ambient - it creates little scenes within itself through faster shifts and bizarre samples. Really interesting, but like I said, don't get any version but the complete one, at 18 minutes. The shorter one is basically a bad ambient remix of an old 80's song (which was one small part of the full version, but in the full context, it's actually excellent). One of the best ambient music trips ever. An early interview from best ambient music chart toppers Future Sound Of London, a band that blew my mind when I first heard their single Papua New Guinea. I still get a kick out it today - certainly one of the best ambient works I ever selected to buy.This video is probably from around 1994 I think. It is interesting to compare this FSOL video with say, the interview done at the MOJO awards last year where the band picked up an award for best compilation album for their work on the Monstrous Psychedelic DJ mix series. I think its fair to say the band had had enough of defining the future when they ditched their samplers for sitars and started the psy-folk-rock group Amorphous Androgynous but they still haven't lost their groove and made a glorious comeback with their recent Environments 1-3 albums. Personally I found each one to be better than the last. 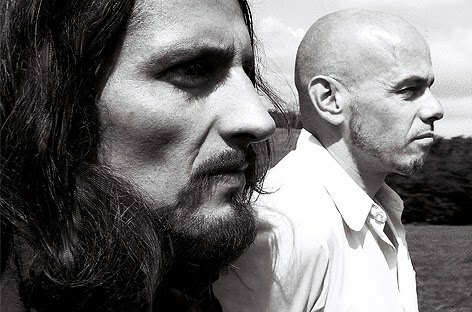 They had a big influence on me back in the early 1990's and help shaped my own sense of what psychedelic ambient or chillout music is ( for me ). Above all they were true innovators that embraced the technology they found themselves surrounded in. Excellent documentary about early electronic sound pioneers "Electronic Music Studios (London) Ltd". 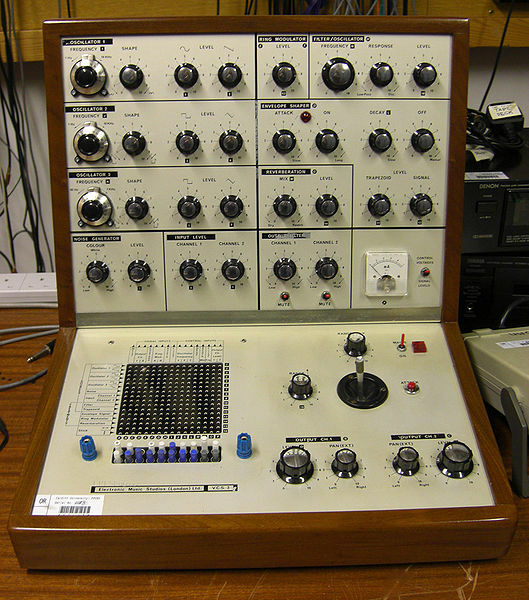 Formed in 1969 by Dr. Peter Zinovieff to market innovative ideas arising from his private studio ( e.g The VCS3 Synthesizer ) and interest in musical applications of computers. Over the next ten years many seminal products were released and many talented designers worked for the company. EMS had its own peculiar brand of British eccentricity which could be both endearing and annoying, but should be viewed in the context of true pioneering. It is easy to copy and follow others, but not to think up new ideas in the first place and EMS had no shortage of originality. The EMS influence was significant and can be traced into many contemporary products. I think anyone into psychedelic ambient, psychedelic chill out, trance ambient music will get kick out of this. I certainly did. A little look into the world of ambient music guru Robert Rich. Stalker and Somnium are perhaps his most well known works however Robert has had a lengthy career in ambient music. Download the video below to see what he has been up to recently. His tunes have had an influence on a number of psychill, and ambient chillout producers. I'll have to looki into getting more Robert Rich into some mp3 ambient mix in the future. 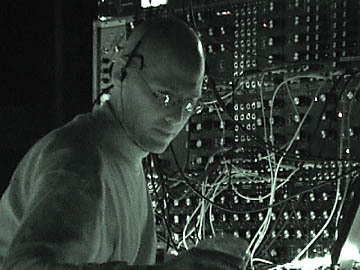 Although his music is often consigned to the new age bins of record stores and the bulk of his work has been released on labels more closely associated with that classification, Robert Rich's solo and collaborative recordings have proven extremely influential on a range of new school dark ambient and experimental artists. Although barely into his 30s, Rich's association with earlier space-music pioneers such as Steve Roach ( another personal favorite ), Kevin Braheny, and Michael Stearns also makes him one of the few of that generation to have interfaced creatively with the new wave of experimental electronic composers. A California native, Rich began experimenting with electronics in the late '70s before attending Stanford University, where he completed a degree in psychology. While at Stanford, Rich's involvement in the university's prestigious Center for Computer Research in Music and Acoustics expanded his interest in electronic composition, as well as bringing him in contact with a wide range of non-traditional, non-Western musical ideas. Rich's performance of several all-night "sleep concerts" during this period also helped solidify an aesthetic focus on psychoacoustics, perceptible in early recordings such as Geometry and Trances / Drones. Rich's more mature works such as Rainforest and Propagation have sought to combine that interest with more recognizable electro-acoustical elements (Rich plays a wide range of instruments, from synths and effects racks to hand drums and flute), but the influence of digital sound manipulation has also moved increasingly to the fore. Inspired by the more textural works of artists like SPK and Throbbing Gristle, Rich's interest in the edgier aspects of electronic music has also built him a reputation among fans of gothic, industrial, and dark ambient, made most apparent by his work in 1995 with Brian Williams of Lustmord. In addition to his more ambient-leaning works, Rich also plays in the experimental pop band Amoeba.